With its pleasant fruity apple taste, cider has enjoyed a popular resurgence in recent years, seeing a steady growth in sales. In fact, modern cider drinkers are simply carrying on a long and fascinating English tradition dating back to Norman times. Apple orchards have been in established for centuries across Southern England primarily in Somerset, Devon and Herefordshire. Over 2 million new cider apples trees have been planted in this the UK since 1995 to meet demand for greater diversity of cider products. 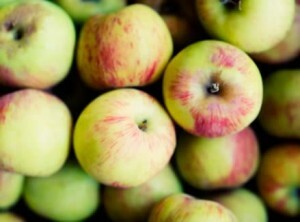 Bittersweets and bittersharps are the two types of apples used in cider and come in over 300 different varieties. The upsurge in development of more specialist ciders products has also seen the emergence of single variety, organic and fruit ciders. Cider is made from the fermented juice of apples but comes in different types. 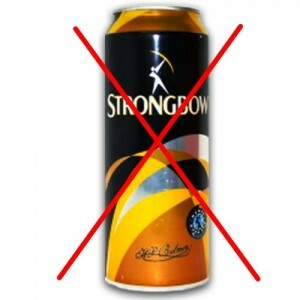 Mass-market cider giants such as Bulmers and Gaymers who manufacture the big brands only make keg cider that can contain certain additives. Real cider is made using only natural processes and procedures. To make cider the apples are firstly washed, checked and graded. They are then crushed and made into pulp. The pulp is layered on a press and juice is extracted. with about eight of these are used for one pressing. Natural yeasts in the apples start the fermentation process that takes place over the winter. Cider is transferred to a maturation vessel to be combined and blended. Finally, it is passed through a series of filters before being pasteurised and carefully scrutinised for quality prior to bottling. Cider makers range from small farmhouse operations to the big regional producers such as Westons Thatchers, Sheppys and Biddenden. Apsall Cyder Makers in Suffolk have recently be named as making the World`s Best Cider in 2009. There are hundreds of small real cider makers that from a vital part of the rural economy with many interesting and delicious products that, due to their size, are only available regionally and locally. The future of this market lies in continuing promotion of these specialist products. The Campaign for Real Ale has produced promotional stickers for pubs serving both real and local cider in its bid to push for greater market share for these ciders. The revival and new diversity of cider drinking has strengthened its image as a drink synonymous with summer fun. This is the time to get out and about and do some cider tasting. Look out for the many lively regional cider festivals in Wales and the West Country, such as the Bath and Bristol Cider Festivals offering up to a hundred different local ciders. 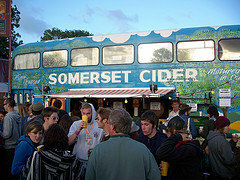 If you`re a music festival devotee, once you`ve worked up a thirst pitching your 2 man tents, you can track down a refreshing taste of English summer at one of many stalls, including the Burrow Hill’s Somerset Cider Bus at Glastonbury.